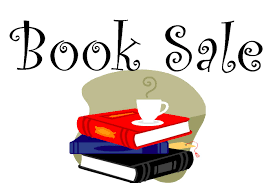 Focal and FOSMA are combining to run a Grand Book Sale in the Church on Saturday 27-Apl-19 from 11:00 am to 4:00 pm. There will be a huge selection of books (hardbacks and paper backs), sheet music, CDs, DVDs, LPs and comics. Refreshments served throughout the day. No admission charge.